Asia will launch a live DVD in August, featuring the original lineup playing every track of their debut album. 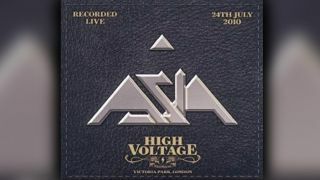 High Voltage was recorded at the inaugural festival of that name at London’s Victoria Park in 2010. It was the first time John Wetton, Steve Howe, Geoff Downes and Carl Palmer had delivered all nine tracks of their 1982 record in Europe, and remains the only time the set was filmed. The band, with young guitarist Sam Coulson in place of Howe, released 14th album Gravitas in March. They return to the UK in October.